nonchalant mom: volvo - looking for a new car WAIT! In our family we have been on a roller-coaster ride as far as our cars... First I urgently traded in my big car, yes full disclosure here... I felt I needed one, then when I got it I thought "what the heck am I doing?" -- I knew it was a mistake the moment I drove off the lot, I turned and looked at my husband and said "I think we should have gotten a wagon!?". I ended up driving it for two years, but now I got my wagon and I love it! (in the end I must say I did haul a lot of stuff in that car-- kids, rolls of fabric, boxes etc... but you make due). We are leasing this time, I figured that by the time my lease is finished there should be a whole new line of cars that we will be proud to drive and Volvo has come up with something that I thought sounded just the ticket! 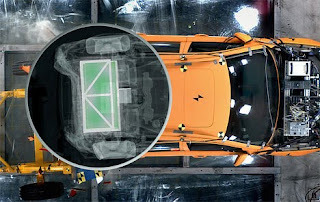 Volvo plans to make a diesel hybrid car for 2012, they announced this diesel-electronic hybrid vehicle to launch in Europe in 2012. It promises "It will be able to be driven up to 50 kilometers [31 mile, sufficient to cover the daily transport needs of 75% of European drivers] on pure electric power and when running on the battery, emissions from the exhaust pipe will be non-existent. If the battery is recharged using electricity from renewable sources, the net emission of CO2 will be close to zero, even in a lifecycle perspective." Volvo dealerships, in a deal with Vattenfall, will even offer their customers special contracts to purchase green power from their utility. The combined range using both the battery and the diesel fuel is about 1,200 kilometers (746 miles). According to the standardized NEDC certification driving cycle, CO2 emissions from Volvo's plug-in hybrid will be lower than 50 grams/kilometer. Cars with emissions below 50 grams of CO2/kilometer will probably have the most favorable incentives in many European countries. In addition to tax relief, these countries will offer a discount of about 5000 euros on the purchase price, a move that is expected to set the standard for the rest of Europe too. Fuel consumption is 1.9 liters/100 km (124 mpg USA!!) based on the NEDC certification driving cycle.